Sponsored, created and organized by the Russian River Valley Winegrowers, The Grape To Glass Weekend will be held August 15-17, 2008. Special events include the following. A tour of the historic Bacigalupi Vineyards, farmed by Charles and Helen Bacigalupi for over 50 years. A presentation at De Loach Vineyard of biodynamic farming with a tasting of different biodynamic wines. The first ever public tour of Hop Kiln Winery and the vineyards. A caviar and sparkling wine tasting at J Vineyards & Winery with Tsar Nicoulai, California’s most esteemed caviar producer. An exploration of artisan grape growing and winemaking at the 700 acre private estate, Windsor Oaks Vineyards, with a tasting of five different Pinot Noir clones right off the vine. Panel discussions will be offered including “Pinot- Rembrandt vs Picasso,” a review of the merits of the modern and traditional Pinot styles. Plus Winery Poker Run, Wine Tasting, Dinner and Movie at MacMurray Ranch, Ballooning over the Russian River Valley, Tour De Vine Bike Ride, Kayak the Russian River, and Hog in the Fog - an elegant BBQ and Silk Purse Auction. Something for everybody. For more information and to register, visit www.rrvw.org. 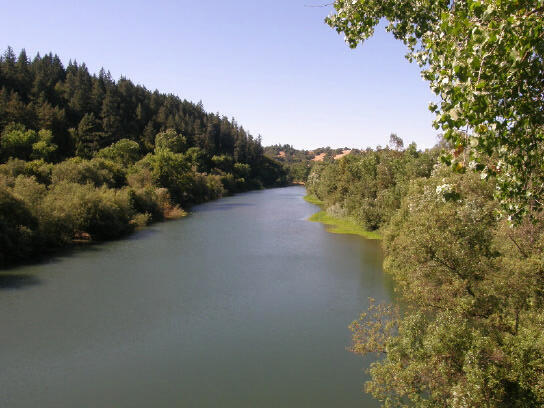 If you can’t attend, but plan to visit the Russian River Valley in the future, request the thorough free guide to the Russian River Valley at the same website. How about a three day adventure in Mendocino County’s Anderson Valley, surrounded by picturesque vineyards, quaint wineries, apple orchards, and ancient redwoods? Limited to eight “campers,” Wine Camp is hosted by six camp “counselors” who are very knowledgeable and passionate about wine. The first day at camp includes a sensory evaluation workshop, an exploration of the vineyards, barrel tasting, an extravagant picnic lunch, and an in-depth seminar on Anderson Valley grape varietals. End the day with a fabulous dinner and fall asleep dreaming of Pinot in a cottage in an orchard. The next day you will be blending your own Pinot Noir, learning about food and wine pairing, and participating in a cooking class with renowned chef Sally Schmitt, the founder of the French Laundry, followed by more food wine, and superb company. To find out more and to register, visit www.wine-camp.com or phone 707-937-9912. Experience the 2008 grape harvest up-close and hands-on from September 29 - October 1, 2008. Harvest grapes, meet the grape growers and winemakers, blend your own wine to take home, and most of all, indulge in the wine and food that makes Sonoma County wine country famous. For details, visit www.sonomagrapecamp.com or call Relish Culinary Adventures at 877-759-1004. Now in its 24th year, Winesong! 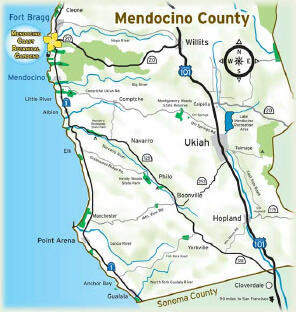 Is the premier Mendocino Coast celebration of wine, food, art, travel and giving. To be held September 5-6, 2008, the event kicks off on Friday, September 5th with a tasting of library wines, new releases and barrel samples of Anderson Valley Pinot Noir in an intimate bluff-top setting overlooking the Pacific, accompanied by foods crafted by local artisans. The main event on Saturday, September 6th, features a Grand Tasting in the Mendocino Coast Botanical Gardens. On hand will be wines from over 100 wineries from California, Oregon, Washington, South America, Australia and Italy. The Grand Tasting is followed by the annual Charity Auction with an array of spectacular wine lots including rare vintages, verticals, large formats, wine vacations, and one-of-a-kind art from acclaimed artists (many work feature grapes and wine themes). Winesong! is produced by the Mendocino Coast Hospital Foundation and all proceeds benefit the Mendocino Coast District Hospital. To purchase tickets, visit www.winesong.org or call 707-961-4909. The 2008 auction catalog will be posted on the website in August.